The gym's and etc go by a region called Sonata. Map is shown in the spoiler below. If unable to see full picture click HERE. 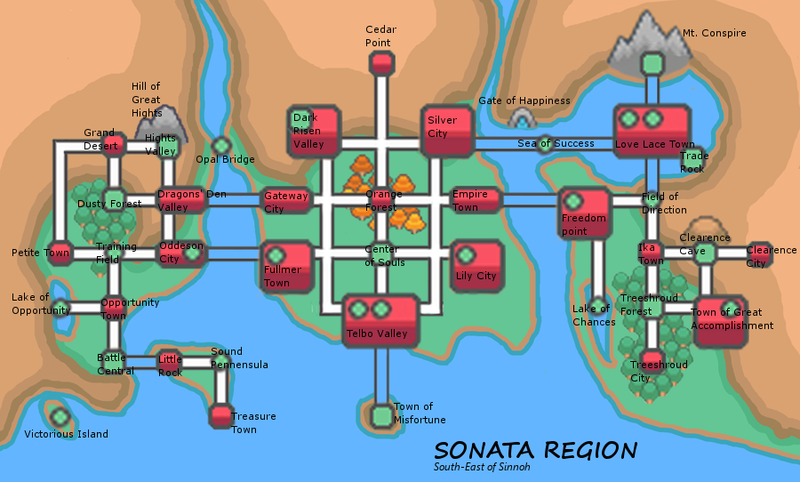 The cities there also have stories to them if you ever wish to read them they'll be up under "Sonata Region". Will be putting up pictures off the towns there as well. Fan Fictions do not have to be based off of this region but an RPG will be put up for it if you wish to try it out. There is no different Pokemon in the region, just all the pokemon from 1st-5th region. Certain places on the map will be home to certain pokemon as well. More details will be in the "sonata region" section. Tournaments will be held in certain areas and you can see info on tournaments under the area's name in the "Sonata Region" Section in the forums.